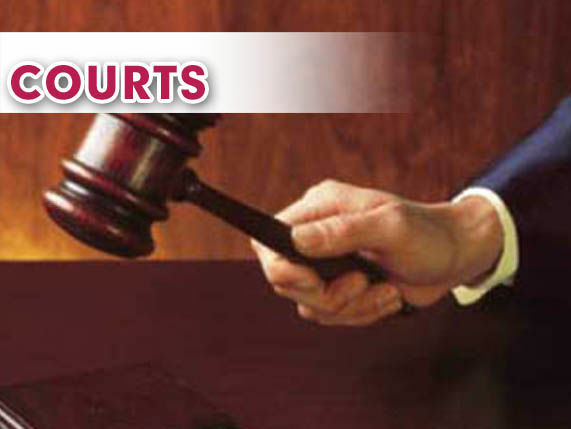 McALLEN — A Houston man joins a long list of defendants in a drug conspiracy after he pleaded not guilty to a myriad of charges during an arraignment Monday morning, court records show. Juan Alberto Villalobos, 29, pleaded not guilty to 18 charges before U.S. Magistrate Judge J. Scott Hacker, which included one conspiracy charge, 12 money laundering charges and five distribution of cocaine charges. The federal investigation alleges he took part in the movement of hundreds of kilos of cocaine from May 2012 until the filing of the indictment on May 22, 2018, court documents show. Arrested earlier this month April, Villalobos is one of 21 defendants named in the federal drug conspiracy which involves nearly 30 defendants, many of whom still remain unnamed in the official indictment. Villalobos is specifically accused of distributing more than 400 kilos of cocaine between February 2015 to about October 2016, documents show. In addition to the distribution of cocaine, Villalobos allegedly also worked to hide the funds derived from the sale of the drugs. Between May 23, 2012 and August 2016, he allegedly laundered money from places in Texas, Chicago and Mexico in excess of $7 million, records show. Villalobos joins 20 others who have been named in the indictment, the majority of whom are from Houston. Houston residents who face various distribution and money laundering charges, according to court documents, are DeAllen Nettles, 31; Michael Graves, 44; Daniel Mayorquin Carrillo, 30; Christopher Ham, 25; Ruby Guzman, 31; Michael Tovar; Rudis Edgardo Zelaya, 50; Maria E. Garcia, Liang Guo Yu, 57; Jonathen Xie; and Esteban Solomon Cortez, 29. Montgomery residents Juan Manuel Fonseca, 46, and Monica Fonseca, 42, along with Kingwood resident Reyes Rodriguez Hernandez III, 35, also face these charges. In addition, Mercedes residents Virgil Lee Carrillo, 29; Eric Carrillo, 23; Eric Jason Gomez, 35; and Romulo Chapa, 43, of Weslaco, Jorge Reynaldo Tamez, 38, of Pharr, and Jacob Garcia, 32, of McAllen, also pleaded guilty to varying amounts of distribution and money laundering charges related to the indictment. Almost all of the defendants, not including Villalobos, appeared for a conference hearing last summer in August. At that time, the court gave the respective attorneys for the defendants until the end of April to decide if their clients would agree tp a plea deal prior to scheduling jury trial dates. Only two of the defendants are in federal custody pending their respective trial proceedings — everyone else is currently free on bond, court notes show. Villalobos was remanded into the custody of the U.S. Marshals Service, court notes show.